Explore at first hand the wondrous history of the royal house of Hohenzollern-Sigmaringen and Hohenzollern Palace. Our castle guides will accompany you on a journey through the world of German nobility, bringing you close to history and the Hohenzollern. Guided group visits of the Hohenzollern Castle of Sigmaringen are subject to prior booking. Groups can reserve tickets by calling the ticket and sales information +49 (0) 7571 729 230 or via mail to sales@hohenzollern.com. Per group the number of visitors must not exceed 40 people. Private guided tours can be arranged in: English, German, French, Dutch, Italian and Russian. All coaches visiting Hohenzollern Castle should park at our coach park at Muehlenberg. The coach park is free of charge. One of approximately 50 highly trained castle guides will take you on an intriguing trip through the annals of history. What awaits you is an exciting blend of first-class storytelling peppered with expert insights. The past is truly brought to life before your eyes. Every tour is different – tailored to the needs and interests of each group. Take a fascinating walk through more than one thousand years of royal history and culture, getting to know the protagonists and observing architectural change through the centuries while you discover major historic events from a new perspective. Your castle guide will offer thought-provoking details on the various paintings, furniture, and artistic styles you encounter. Special feature: An exclusive glimpse behind the scenes of history. Tour fee: € 8.50 per person. Famous German author Goethe said: “Collectors are happy people!” If that is to be believed, then Karl Anton, Prince of Hohenzollern (1811–1885), must have been an especially happy soul. After all, he is the person to thank for Hohenzollern Castle’s vast armory and its vast collection of arms and armor. With 3,000 exhibits, it is one of the largest private collections of its kind in Europe. But the Prince’s interest in these items was more than a hobby – he was also an enthusiastic historian. He acquired the first items in this prized collection of valuable and in some cases quite unusual weaponry and armor in the mid-19th century. Some of these pieces were owned by the family at the time. The castle inventory refers to an armory as early as 1743. At this time, it appears to have comprised 43 weapons, including guns and swords. Fifty years later, the collection had grown to 300 pieces. Interestingly, it was Prince Karl Anton himself who, in 1842, announced that the armory should be displayed to the public in a way that showed ‘taste and expertise’. Four years later, the armory was constructed as an annex to the main castle specifically for the purpose of public display. But passion requires space to grow and flourish. Mass acquisitions in the 1860s helped the collection grow quickly to include 2,800 different weapons. Naturally, the Prince required new premises to house and do justice to his handsome collection. A wooden coach house underneath what was then the castle courtyard (now the Portuguese Gallery) was converted for this purpose. The armor and weapons were then exhibited in a location designed to resemble a medieval royal armory. Original period features, such as the Gothic Revival rib vaults and wooden wall paneling, can still be viewed and appreciated today. This initial idea to give the place a medieval armory feel again guided modern designers during the refurbishment works of 2017. 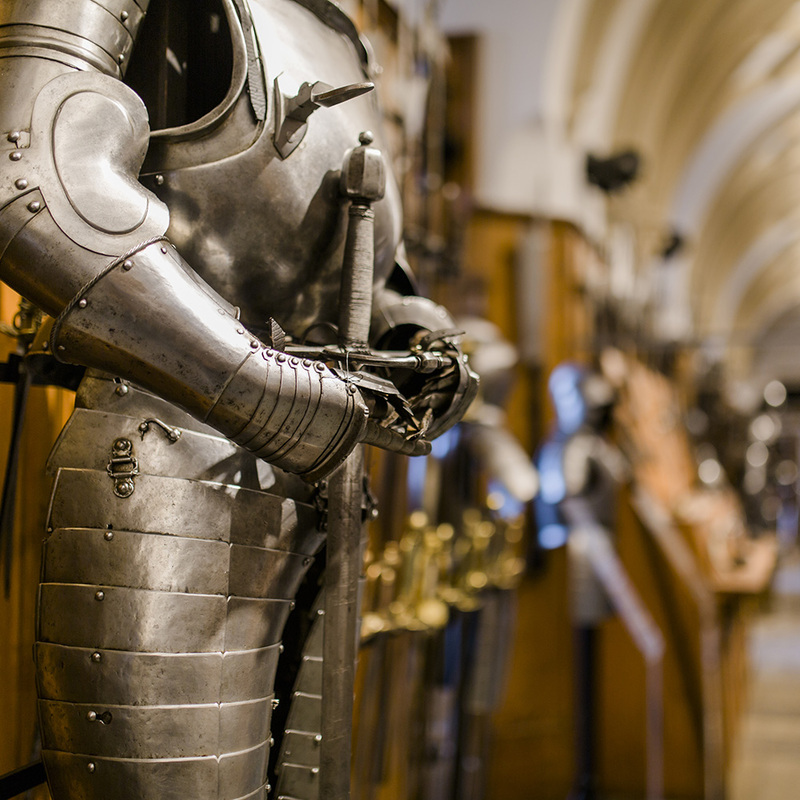 Today, 17 information points bring to life the fascinating history of weapons and armor from the 14th to 20th century. Renowned weapons experts from around the world mention the Hohenzollern collection in the same breath as the collections of some of Europe’s most prestigious museums. You can also explore the armory on your own, or purchase an audio guide to discover and learn more about the exhibition at your leisure. Many associate Imperial Germany under the Kaisers with militarism and hierarchy. But what was life really like during the reign of Wilhelm II? This amusing and informative tour of the castle offers a glimpse behind the veil of German history. Valets and chambermaids transport visitors to a very different era. On the one hand, society was defined by the three pillars: the aristocracy, the bureaucracy, and the military. While on the other hand, industry and education enjoyed a glorious golden period that remains without equal. Visitors will receive a special surprise from the royal confectioner who is busy working to help visitors get a better feel for what life was like in Germany at the turn of the previous century. In addition to that delicacy, each participant will receive a historically appropriate title or military rank. For example, an aristocratic lady might be accompanied by a handsome cavalry captain as she ventures through Hohenzollern Palace. 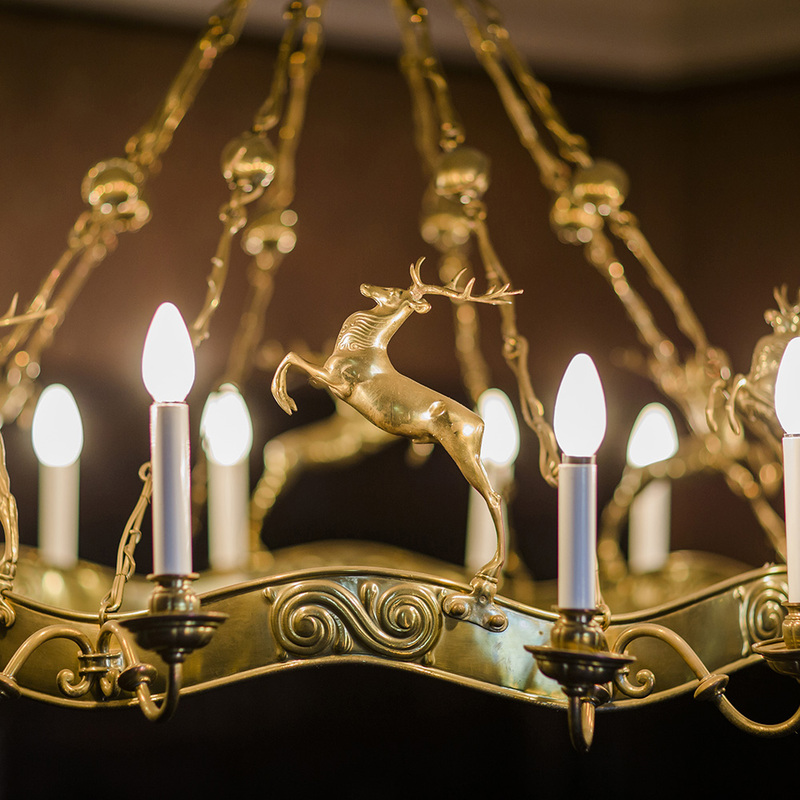 The guests will also learn about the consequences of the terrible fire that engulfed Hohenzollern Palace in 1893, especially in relation to the castle’s precious furnishings and sumptuous decor. Indeed, at the cost of 100 German Marks, a single gilded door handle was equivalent to a teacher’s entire monthly salary. Special feature: A royal beverage and a small edible treat. Tour fee: €16 per person. Some say the way to a person’s heart is through their stomach. And sometimes tasty morsels will create a very special memory. Hunting for History, the new Hohenzollern Palace tour, provides exactly these culinary memories, served with a wide assortment of historical anecdotes. The variety is astounding, because every era has left behind an appetizing legacy. 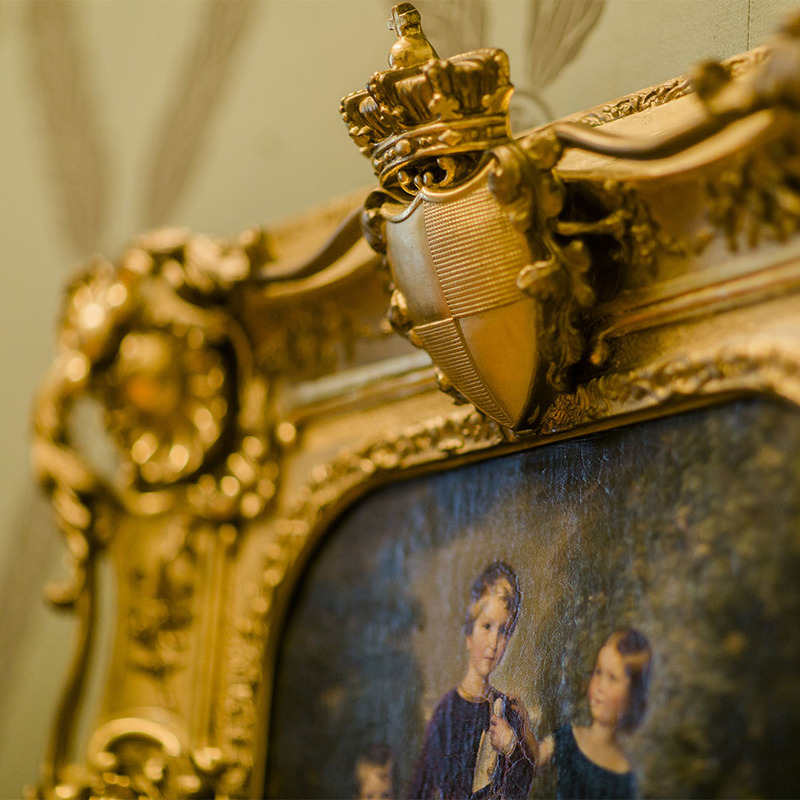 This indulgent tour through the palace offers a charming dining experience combined with amusing tales from the everyday life of the royal house. Examined through the lens of history, hunting emerges as a key activity that links the generations of Hohenzollerns across the ages. The many exhibits on display are a testament to this. The Hohenzollerns’ love of hunting is most evident in the Hubertus Hall, where hundreds of hunting trophies line the high walls. All these animals were hunted by Friedrich, Prince of Hohenzollern (1891–1965). Gigantic deer antlers and chamois horns tell stories of many successful hunts. This 90-minute tour is perfectly rounded off with a wine tasting in the castle kitchen. Delightful canapés with game from our own forest accompany the wine. Special feature: Wine, canapés, and Josefsluster herb liquor. Tour fee: €28 per person. This is the most colorful of all tours at Hohenzollern Palace. 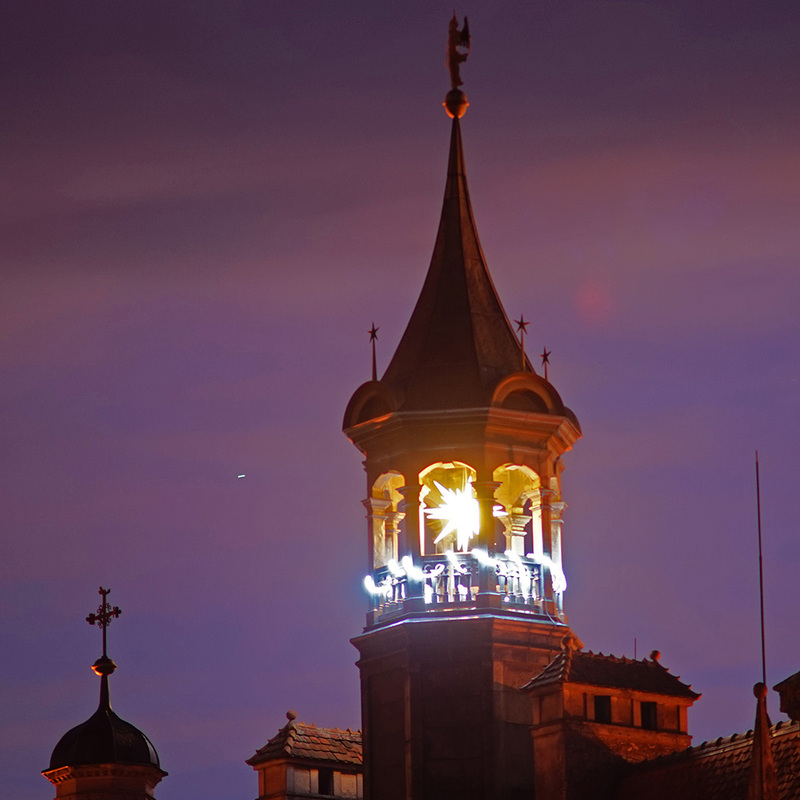 Just like the glamorous tales in a glossy magazine, this tour transports you to another world. 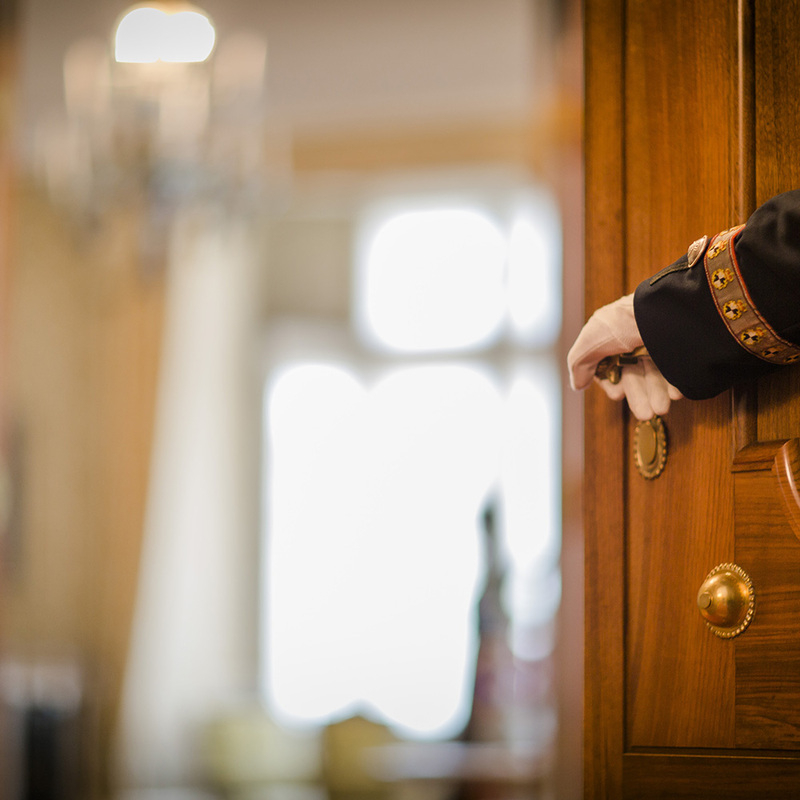 This palace tour allows you to take a proverbial peek through the keyhole of castle life. A cultural pleasure stroll through history, you’ll marvel at the magnificence of the sumptuous ceremonial halls, as well as the fascinating stories of love, passion, power, and bravery. This is to be expected, as the prominent faces of the Hohenzollern dynasty played a decisive role in Europe’s history. Hohenzollern Palace even enjoyed the status of one of the most popular meeting places for European nobility during the reign of Karl Anton, Prince of Hohenzollern (1811–1885). But it is more than just high-level politics that have left their mark – a multitude of private anecdotes also breathe life into the past. That’s why a visit to the princesses’ private bedchambers – the Josephine Chambers – and the Royal Bathroom are key parts of this tour. Indeed, the Royal Bathroom was also considered quite advanced around the early twentieth century, even among members of the nobility. 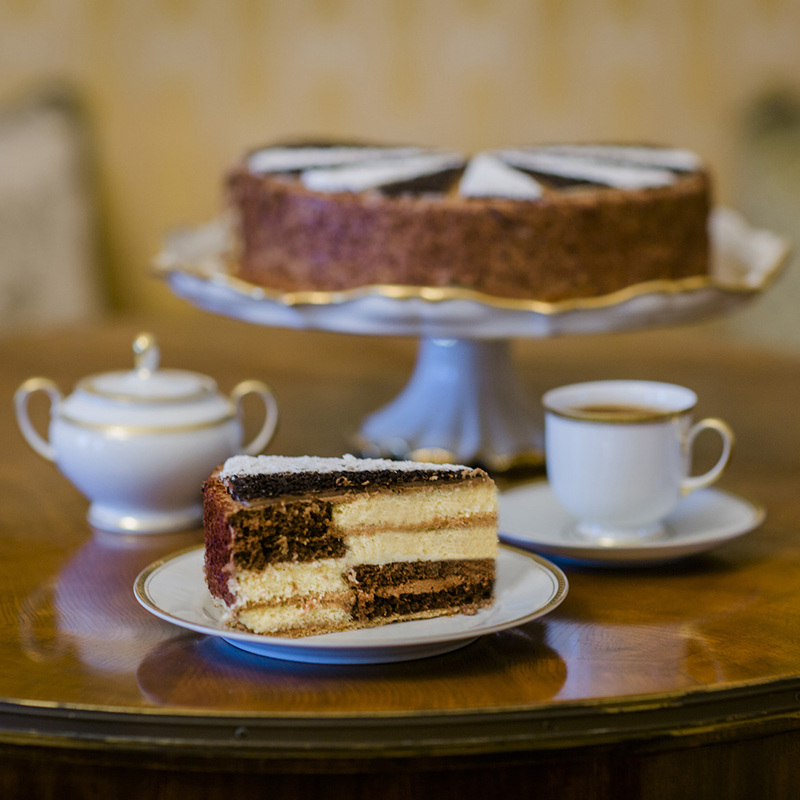 This varied tour concludes with sweet treats created by the royal confectioner, served in the Footmen’s Room. Special feature: Coffee and cake. Classic cars are a piece of living history. Legacies of the past, these cars awaken memories and a certain longing for a slower pace, simultaneously making us pause and arousing our desire for adventure. It is a passion shared by many of us, and this is why Hohenzollern Palace regularly opens its doors to devoted collectors of vintage cars. On dedicated open days, owners of restored cars and classic two-wheelers are invited to park directly in front of the Hohenzollern’s grand ancestral home and take part in an exclusive castle tour. The sight of all the glistening motors in front of the ancient walls of the former fortress creates an extraordinary contrast to the fast-paced nature of modern society. It is a peaceful scene that deserves full appreciation, as we reflect on the momentous journey of technological progress. The scene combines two aspects of our cultural heritage in perfect harmony, inspiring two different kinds of fascination: mobility, encapsulated in cars of decades past, and permanence, in the form of these solid castle walls. With the backdrop of the stunning Danube valley, visitors can enjoy an exquisite day out and a one-of-a-kind experience. Participation open to all; parking for classic cars permitted on request. 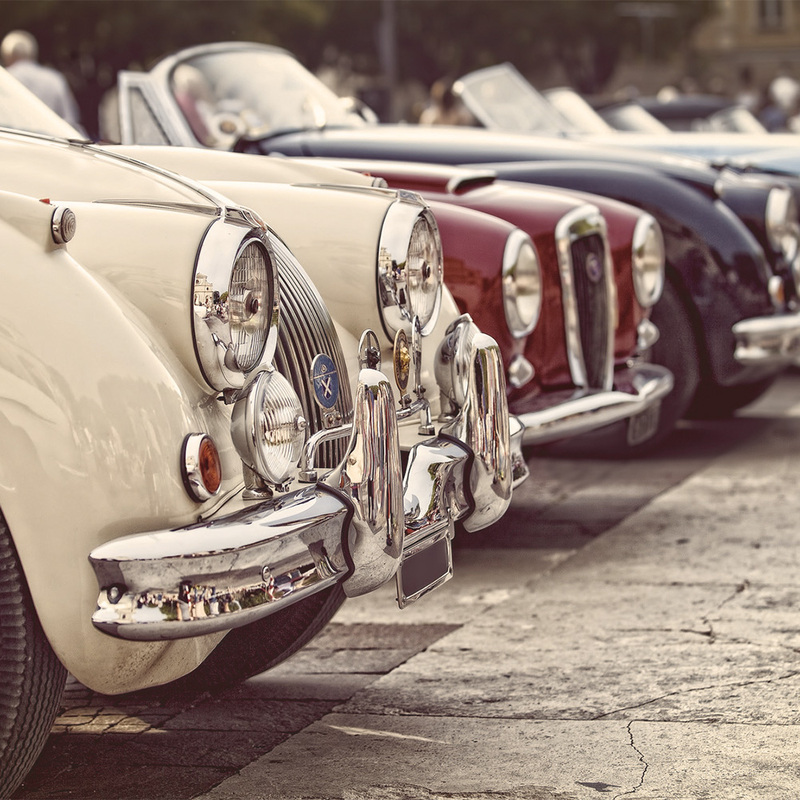 Participation open to all; parking for classic cars permitted on request. Advent and the Christmas period are traditionally a time of peace, calm, and contemplation. This is no surprise, as we all long for those precious moments of peace when our hearts are filled with Christmas spirit. Hohenzollern Palace is one of those rare places capable of recapturing that feeling. In the run-up to Christmas, this place steps back in time – a true departure from the hustle and bustle of everyday modern life. Every year, the Hohenzollern royal estate rekindles the magic of a traditional German Christmas. All the rooms and halls are adorned with festive decorations, but you will find no trace of the noisy, consumer-driven world within these historic castle walls. Rather, it is an environment that inspires reflection and wonder. Or stories, such as the history of the Christmas tree… But we won’t give away any more secrets just yet. After all, anticipation and excitement are part of the magic of Christmas. Special feature: Tradition Lebkuchen gingerbread, mulled wine, and punch with and without alcohol at the end of the tour. Hohenzollern Palace offers a special treat for those who’d like to round off their tour in style: a sparkling reception in the splendid castle kitchen. Visitors can book a sparkling wine reception to follow any event or tour. 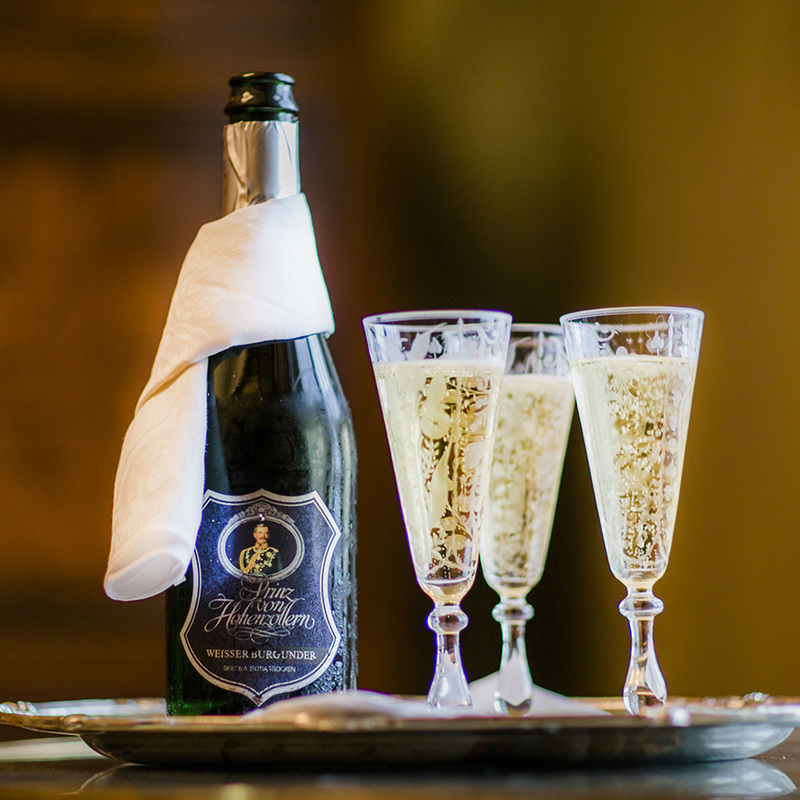 This is a unique opportunity to sample the House of Hohenzollern’s traditional Prince von Hohenzollern sparkling wine – or ‘Sekt’ in German – in a unique setting. The reception is an unparalleled meeting of two living artifacts steeped in history: the historic castle, with its thousand-year history, and a beverage so delightful that the Romans assigned it a dedicated god, Bacchus. But please don’t think that foreigners brought wine to this sun-drenched region – it has always been here. Recent excavations have revealed the fossilized remains of vines estimated to be around 60 million years old. Special feature: Sparkling wine reception in the historic castle kitchen. Tour fee: €3.50 per glass.